Today, I'm going to talk about O'for Feet Sake by Bar-Maids. Whether sandals season is in your world 10 days a year or 365, are your feet in sandal season condition - soft and supple or do they snag the sheets? I know a pair that is so rough they would make a good back scratcher if I let them near me. We all know there are hundreds of thousands of "in need of some serious help" feet walking around out there. O'for Feet Sake! Silence those dogs, tame those trotters, soften those shufflers. It matters not if a pair is the problem or an independent -one, they need O'for Feet Sake by Bar-Maids. Using the perfect combination of skin loving oils (including essential oils), butters, and ingredients ideal for feet, will being amazement - and sooner than expected. O’For Feet Sake, a solid foot moisturizer, also comes with a proven foot recipe. Follow the recipe and in less than two weeks time feet will be happy and soft. 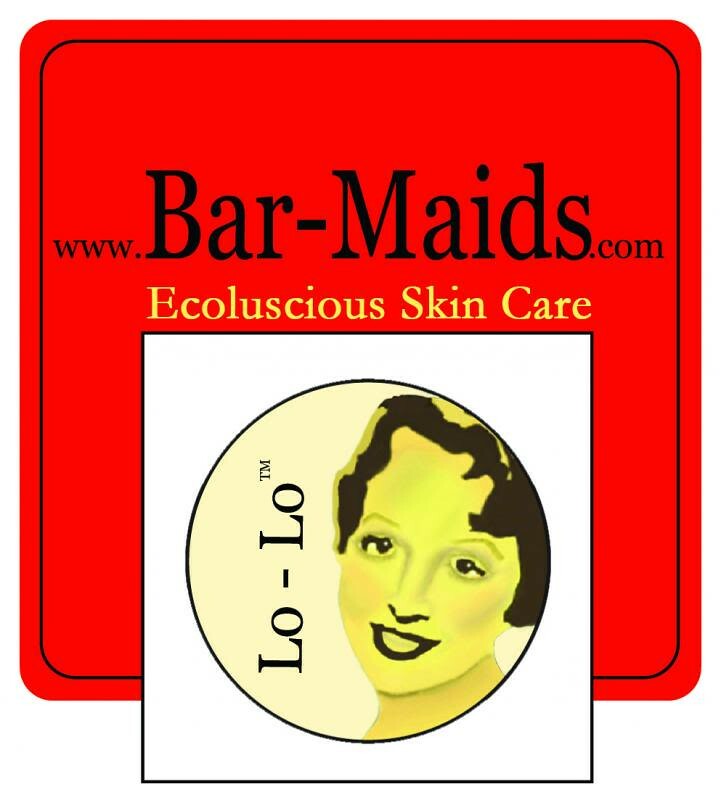 Purchase O'For Feet Sake at www.bar-maids.com and choose between Soft Vanilla or Peppermint Plus. Does your New Year's resolution involve taking fiber related classes or attending a fiber festival? If so, DFW Fiber Fest has a wonderful line up of Nationally and Locally recognized teachers in knitting, spinning, crochet, and other fiber arts. Come take a class with Gwen Bortner, Shannon Mullett-Bowlsby of Shibaguyz Designz, Beth Smith from the Spinning Loft and lots of other wonderful instructors with classes for all levels of experience. Franklin Habit is our featured Friday night speaker and tickets for that event will go on sale in March. DFW Fiber Fest is held April 5-7, 2013 in Grapevine, TX. Sign up soon for best class selection! We have something for all lovers of fiber, whether you knit, crochet, spin, or just love to pet pretty yarn. Spinners get special pampering with features that no other online community has. Stash your fiber, even that raw fleece! Create a spinning project and add the finished yarn to your yarn stash. Then search for the perfect pattern to showcase your work. Watch what your friends are stashing, queueing and creating in your real-time stream. In fact, you can even cross post to Facebook. Gigi finished the leg of the Pinus Silvestry sock from the Knitters Curiosity Cabinet out of Koigu. Jasmin worked on a pair of Vanilla Houdini socks out of Meilenweit yarn, while we were at the Try This at Home book signing. We endorse sock yarns that have 80/20percent combinations of wool and nylon. We mention Regia's 10 year product garantee. Gigi finished a repeat on the Chrysanthemum socks out of Little Red Bicycle yarn. Jasmin is close to finishing the body of her Breezy cardigan. Gigi is knitting the Rubus Suberectus out of gray Fortissima. We endorse inscribing yarn wrappers that are gift yarn. Jasmin finished the knitting of the Yoked cardigan, and started the Antler cardigan by Tin Can Knits, published in Pacific Knits, both out of Greenland. We mention blocking the Playful Stripes cardigan, the Yoked cardigan and the Cascade cardigan. Jasmin mentions being on the Yarn Thing Podcast. Check it out! We have been wearing socks. Gigi has worn the Katarina out of Tipperary Tweed. We talk about getting the most bang for your buck. Jasmin mentions the KnitCents podcast. We purloined "mash notes" from the Spin Doctor podcast. And we are sending mash notes to the Spin Doctor herself, Dr Gemma from the CogKNITive podcast, Abby from the Knit Knit Cafe podcast, and Melanie from the Savvy Girls podcast. This week we review Colours of Shetland, by Kate Davies.